AIR is one of the world's largest behavioral and social science research and evaluation organizations. Our overriding goal is to use the best science available to bring the most effective ideas and approaches to enhancing everyday life. For us, making the world a better place is not wishful thinking. It is the goal that drives us. Founded in 1946 as a not-for-profit organization, we conduct our work with strict independence, objectivity and non-partisanship. Learn more about our history. The intellectual diversity of our 1,800 employees enables us to bring together experts from many fields in the search for innovative answers to challenges that span the human life course. informs public understanding and policymaking by the best evidence. As an AIR employee, you should feel confident that your health and well-being are among our highest priorities. To that end, AIR offers comprehensive, flexible benefits to our employees and their families. AIR is proud of its tradition of maintaining a work environment that values diversity and nourishes respect for the dignity of each individual. We are committed to continuing our efforts in creating and maintaining a diverse workforce through our recruitment and employment practices. AIR places a strong emphasis on creating a collegial atmosphere that encourages staff to be creative and supportive of each other. We believe that intellectual diversity and respect for the contributions of each individual is central to our success. We produce good work because we are a good place to work. Our staff cares about the work they perform, they care about the colleagues they work with, and they care about the clients they serve. 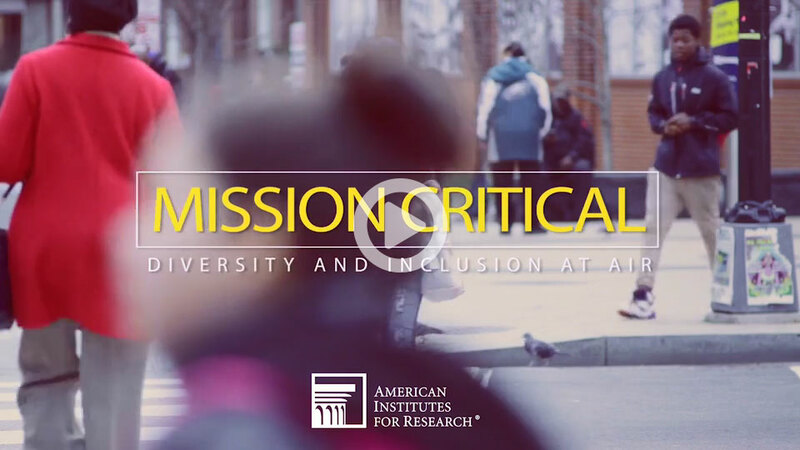 AIR conducts and applies behavioral and social science research to improve people’s lives and well-being, with a special emphasis on the disadvantaged. That ideal is the driving force that motivates our staff. Here at AIR, we believe in next generation talent! That is why our organization hosts a 10 week Summer Internship Program each year, May to August. This internship provides undergraduate and graduate students with a focused and challenging learning experience in areas of applied contract research, evaluation, software and product development and various corporate functions. AIR provides its interns with meaningful, hands-on work experience that includes the opportunity to work alongside subject-matter experts on projects in a variety of fields. Our interns also participate in internship-specific events that give them opportunities to network with AIR employees, obtain career insights and advice, and showcase their work to AIR’s leadership team. AIR’s Summer Internship Program offers competitive pay based on your level of education. You are eligible to participate as long as you are currently enrolled in the required degree program and you meet the minimum qualifications. All internships are posted on our AIR Careers page: (www.air.org/careers) Here, you can apply for open opportunities that align with your career interest. AIR Interns work full-time for ten weeks during the summer months, May - August. Our Fall and Spring internships are part-time during the semester. Interns have several opportunities to network with and get to know leaders throughout the organization. Interns receive hands on project experience in some of the most unique and challenging subject areas. Successful interns may be invited back for future internship opportunities or upon graduation, full-time career opportunities. Interns participate in an end of year poster session contest where winners receive big rewards! We welcome students with a Visa to apply. 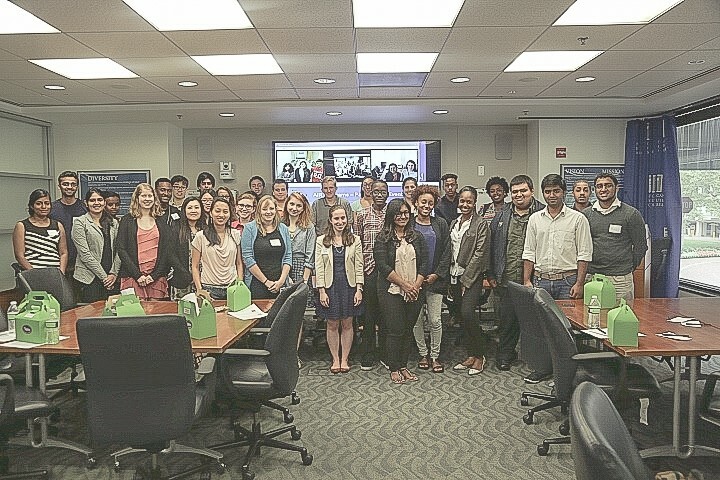 Interns participate in an annual AIR Intern Alumni Networking event, which is held every summer. Here they get to know past interns who have built meaningful careers at AIR.